The Tampa Bay Rays have reached agreement with rookie pitcher Matt Moore on a guaranteed five-year, $14 million contract... The deal includes multiple club options and could extend to eight years for a guaranteed $37.5 million and buy out two years of Moore's free agency. It's the pitching version of the Evan Longoria contract, which buys out arbitration years and provides team options for the first few free agent years. The deals are guaranteed team-friendly barring injury or remarkable attrition. Lest you forget, Moore is really good. 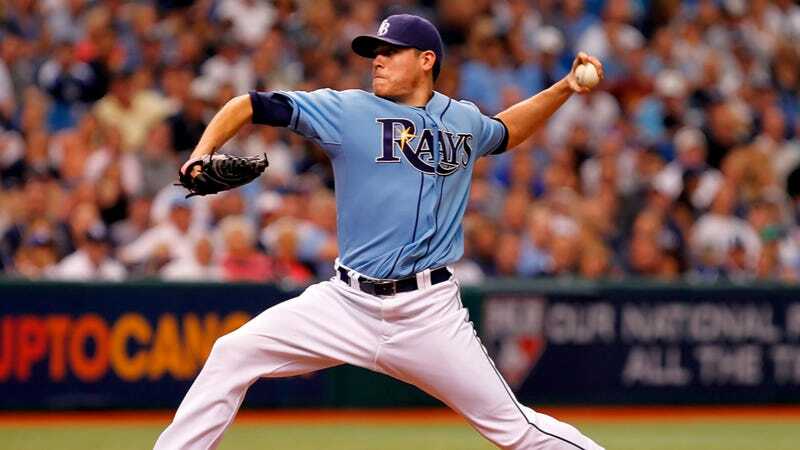 In nine-and-a-third innings for the Rays last September, he allowed nine hits while striking out 15 (and walking only three), and in the ALDS against Texas, he was similarly stellar, striking out eight and allowing only three hits and three walks in ten innings.